Spruce Kings forward Patrick Cozzi tries to stickhandle the puck around Victoria Grizzlies defenders Jordan Guiney, left, and Carter Berger on Friday at Rolling MIx Concrete Arena in Prince George. With the Prince George Cougars once again out of the Western Hockey League playoffs, the Spruce Kings have become the hockey happening in P.G. The S-Kings defeated the visiting Victoria Grizzlies 4-2 in the opening game of the best-of-seven B.C. Hockey League Coastal Conference final series before a standing-room only crowd of 2,067 in 1,800-seat Rolling Mix Concrete Arena, which is the secondary rink in Prince George behind the Cougars’ larger CN Centre. The Island Division-champion Grizzlies had to contend with a well-rested Prince George offence that outscored the Chilliwack Chiefs 21-3 in their second-round sweep, while Victoria had to go seven games to get past the Powell River Kings in their second-round series. That might have been evident as the Spruce Kings jumped into a 4-0 lead Friday by 6:51 of the second period before Victoria’s starry roster finally got untracked. Alex Campbell scored on an assist from Alex Newhook at 10:00 of the second for the Grizzlies. Newhook is projected for the first round of the 2019 NHL draft and Campbell for the second or third rounds. They are among four Grizzlies ranked for the 2019 NHL draft, including blueliners Carter Berger and Jeremie Bucheler. Throw in 2018 New York Rangers draft pick Riley Hughes. Cameron Thompson pulled Victoria to within two at 14:19 of the second period with his fourth goal of the playoffs, but the Grizzlies could get no closer. “Prince George’s quick start maybe had a little more to do with its odd-shaped rink, which produces a lot of funny bounces,” said Victoria GM and head coach Craig Didmon. Didmon pointed to the Prince George defence — led by NCAA Ohio State Buckeyes-bound and second- or third-round NHL draft projected Layton Ahac — as being the key for the Spruce Kings. “They rely on their blueline and we are going to have to challenge it and attack it,” said Didmon. Kurtis Chapman was harried in making 36 saves in goal for Victoria while Logan Neaton blocked 25 shots for Prince George. The Grizzlies were missing defenceman Nico Somerville to injury and forward Ryan Nolan to a suspension. A series storyline will be the brutal travel between the Island and Prince George with four games in five days. That’s just to start. After tonight’s second contest, the third and fourth games are Monday and Tuesday at The Q Centre in Colwood. If required, the fifth game would be Thursday in Prince George, the sixth game next Saturday at The Q Centre and seventh game the following Monday, April 8, in Prince George. 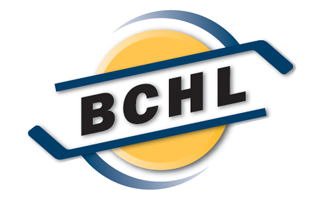 The series winner will advance to the BCHL championship to meet the winner of the Interior Conference final between the Vernon Vipers and defending-champion Wenatchee Wild. 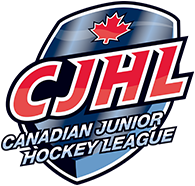 The league champion will represent the BCHL in the 2019 Canadian Junior A championship tournament May 11-19 in Brooks, Alta. The Grizzlies are looking for the Victoria franchise’s first BCHL title since 2001 when it was known as the Salsa. The last Island Division team to win the league title was the Nanaimo Clippers in 2007. The Spruce Kings have been in junior hockey since 1972, and the BCHL since 1996. The S-Kings, who reached their first BCHL final last year against the Wild, have never won the league championship.